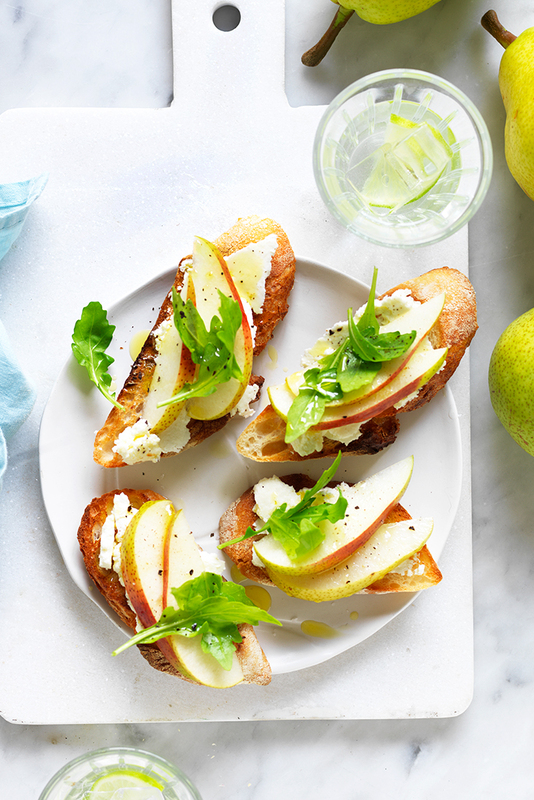 There really is nothing better than spring time entertaining. 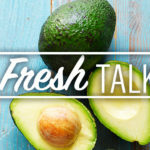 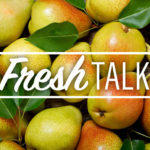 The weather is warmer, days are longer and the list of fresh fruits and vegetables that are now in season is wonderful. 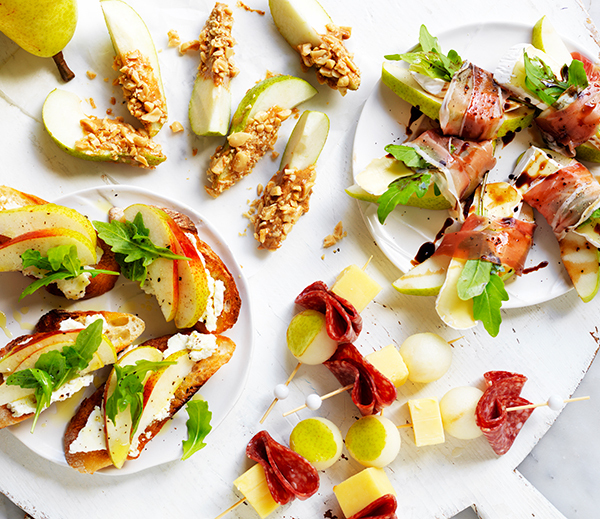 To get the party started, treat your guests to a selection of nibbles and appetisers. 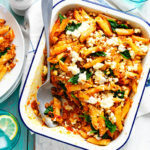 Although appetisers don’t need to be fancy, you can easily turn the simplest of ingredients into wonderful bite-sized party starters. 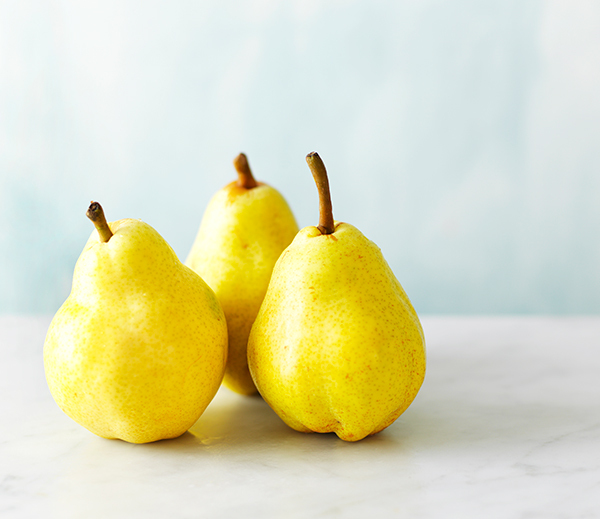 One of those gorgeously simple ingredients is… pears. 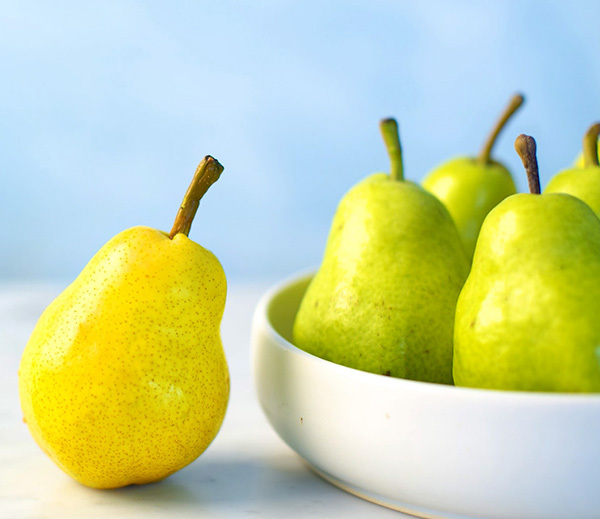 Pears pair beautifully with a variety of flavours, such as cheese, nuts, leafy greens, chocolate, cured meats, to name a few. 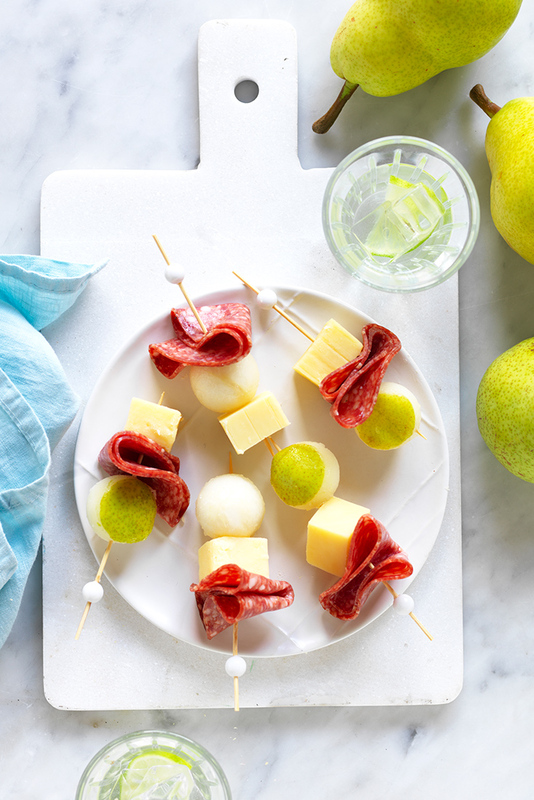 Pears also make a great contender for cheese platters and appetisers. 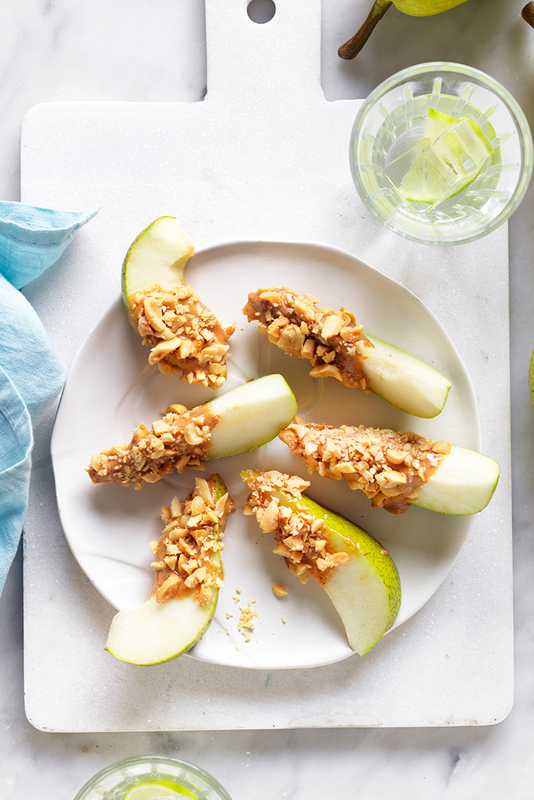 In the below image, there are four seriously quick and easy pear snack and appetiser ideas. 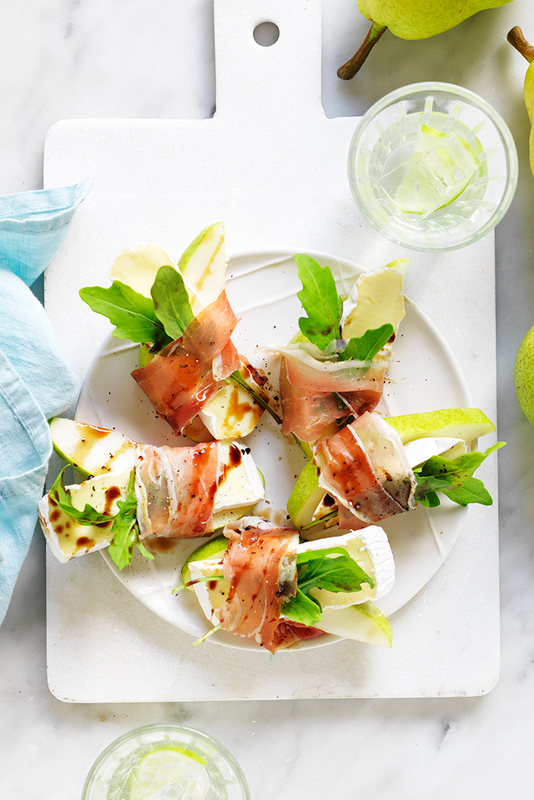 Full of fresh and vibrant ingredients perfect for spring-time entertaining. 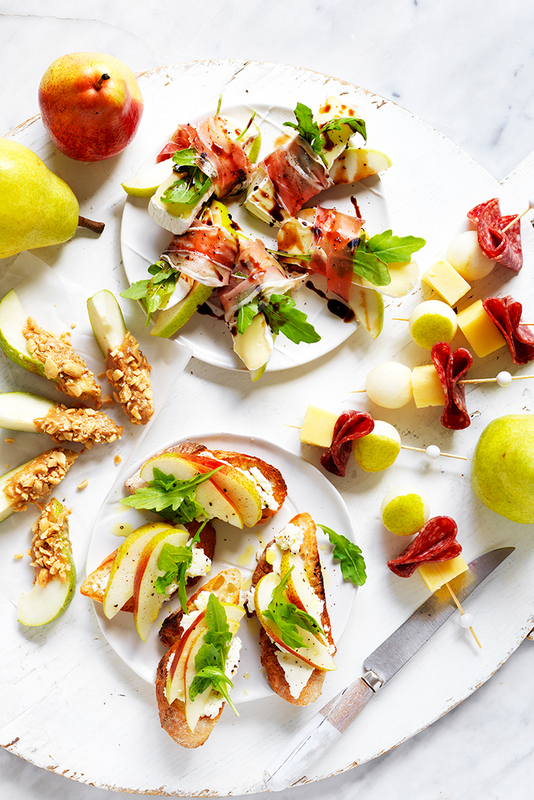 Choose from crunchy peanut butter and nut pear wedges; pear, brie and prosciutto wedges; pear, salami and cheese skewers and lastly, toasted French baguette slices with ricotta, pear and rocket. 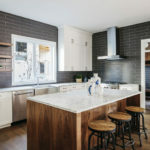 There’s something for everyone. 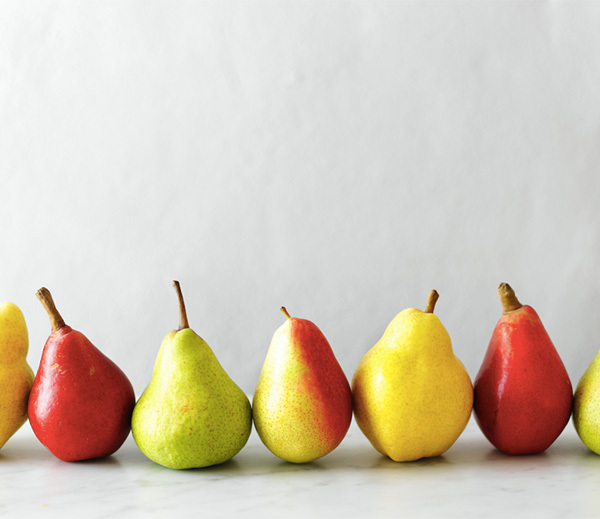 The best part about all of these pear appetisers, is that all of them take 15 minute or less to assemble.